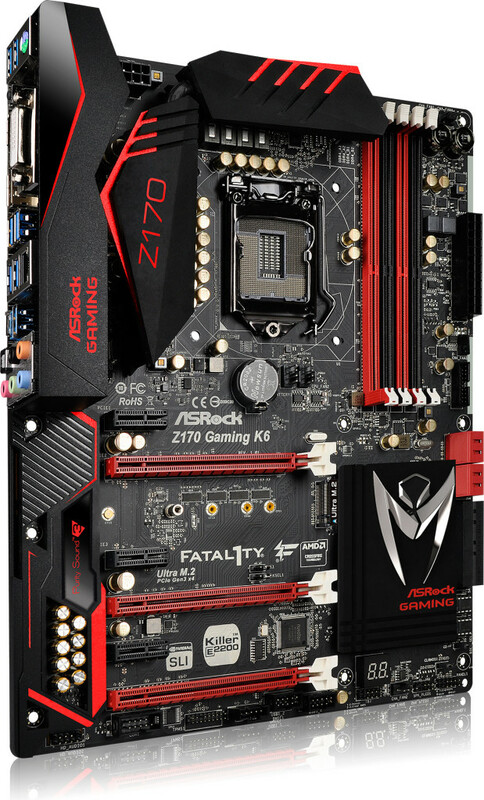 Asrock’s family of mainboards for LGA1151 processors based on the Intel Z170 chipset will consist of over a dozen of models, but at Computex the company demonstrated only four of them: the Asrock Z170 Gaming K6 Fatal1ty, the Asrock Z170 Gaming K4 Fatal1ty, the Asrock Z170 Gaming-ITX/AC as well as the Asrock Z170 Extreme 7. 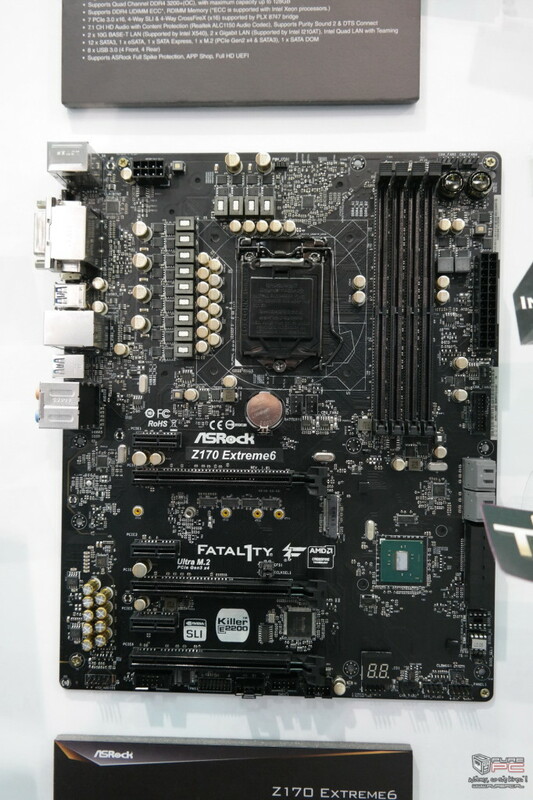 The new motherboards showcased at the trade-show support all key features and technologies that Asrock wants to offer its customers with its Z170 platforms this year: dual-channel DDR4 memory (that can be overclocked to 3.40GHz and higher), an ultra M.2 connector (powered by PCIe 3.0 x4 with up to 4GB/s bandwidth), NVMe support, USB 3.1 with type-A and type-C connectors and some other things like advanced integrated audio and Qualcomm Atheros Killer Networking LAN controllers. Traditionally, advanced motherboards from Asrock use high-quality solid-state chokes and capacitors, multi-layer printed-circuit boards and support sophisticated overclocking capabilities. The high-end Asrock Z170 Extreme 7 and Asrock Z170 Gaming K6 Fatal1ty feature 12-phase digital CPU voltage regulation module for maximum overclocking potential, 4-way and 3-way multi-GPU capability for AMD CrossFire and Nvidia SLI, 7.1-channel Purity Sound 3 audio sub-system shielded from EMI and featuring multiple high-quality capacitors for perfect audio quality and some other things that make these mainboards unique. 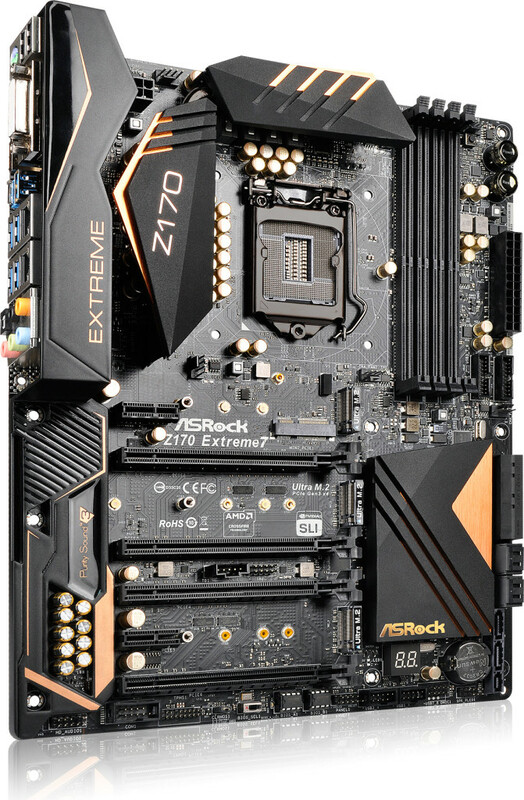 To offer something completely ultimate, Asrock installed three ultra M.2 and three Serial ATA Express ports onto the Z170 Extreme 7, which will allow the company’s customers to build RAID 0 storage sub-systems with 4GB/s and higher bandwidth. The motherboard also sports 10 Serial ATA-6Gb/s ports. 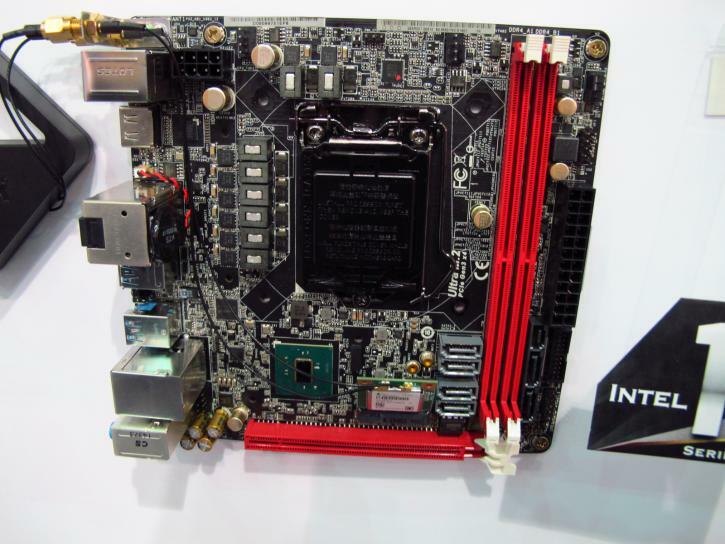 Asrock’s Intel Z170 mainboards for Intel’s upcoming “Skylake” microprocessors are expected to emerge sometime in August, when the world’s largest maker of processors finally releases its long-awaited Core i7-6700K and Core i5-6600K central processing units. Pricing of motherboards will vary.